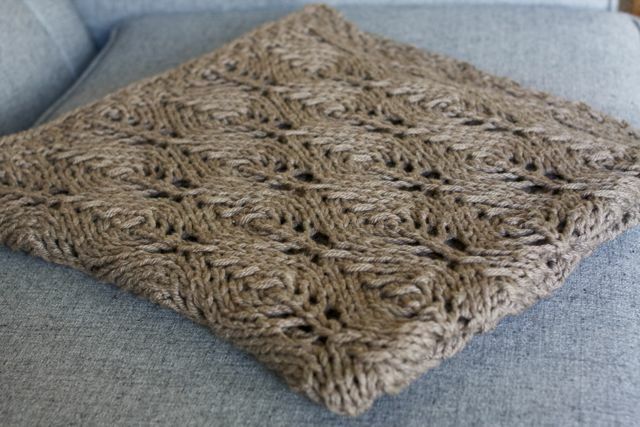 There is something so sweet about a hand knit baby blanket. In the winter it will keep baby warm and in the summer it’s the perfect thing to throw down in the grass in the shade. 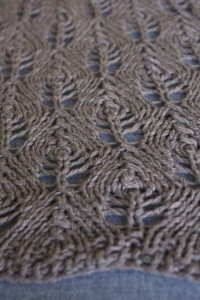 In my experience babies love all things textured so knitting is the perfect platform. 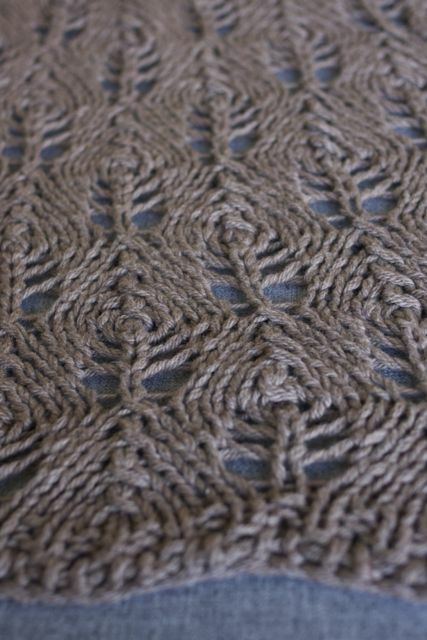 Winter warm blankets offer almost endless fiber possibilities but with a summer baby on the way I felt I needed something a little lighter and a little cooler. Then I thought again! Why not go with something a little thicker? That way it will be a perfect little play blanket! I went with Brooklyn Tweed’s Wool Leaves baby blanket. 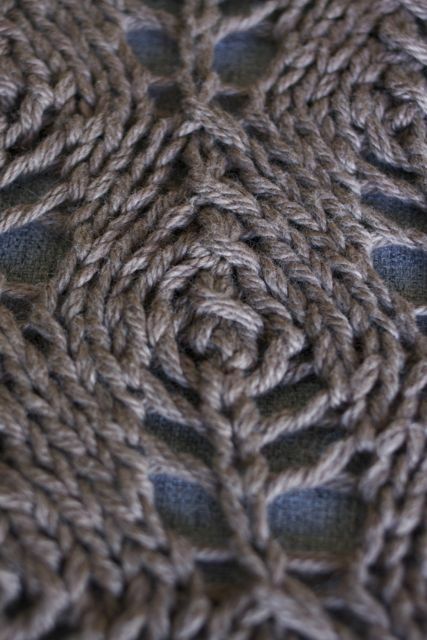 The pretty lacy leaf shape is the same motif as the Shetland Triangle Shawl, one of my very favorite shawls. 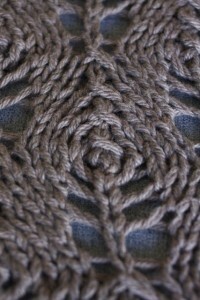 Instead of using Cascade Eco, I doubled up some Spud and Chloe Sweater in the lovely neutral colourway, Chocolate Milk. I have to be honest, I may have been entirely swayed to knit this blanket because of the yarn’s cute colour name. This entry was posted on Tuesday, May 15th, 2012 at 2:26 pm	and is filed under Uncategorized. You can follow any responses to this entry through the RSS 2.0 feed. Both comments and pings are currently closed.